It’s every pet parent’s nightmare – your fur baby runs off, loses its bearings and is lost. But help is at hand in the form of the latest tech from Vodafone. 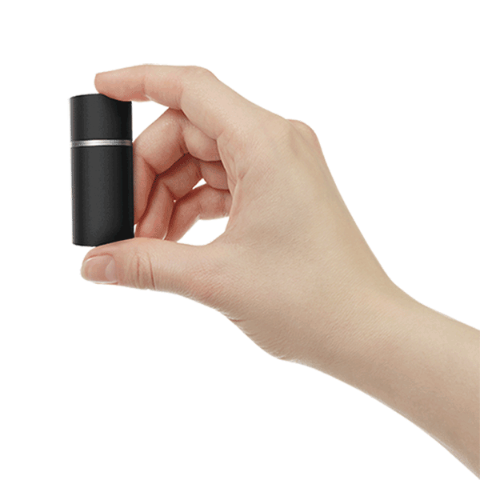 The V-Pet Tracker – the result of its partnership with Pod 3 – is a GPS, Wi-Fi and Bluetooth tracker that locates your pet inside or outside the house, alerts you if it wanders away from safe zones, and enables you to monitor its activity remotely via an app. You can even check in on it if you’re abroad from ‘most European countries’. That’s just one of the latest technical innovations now on offer. 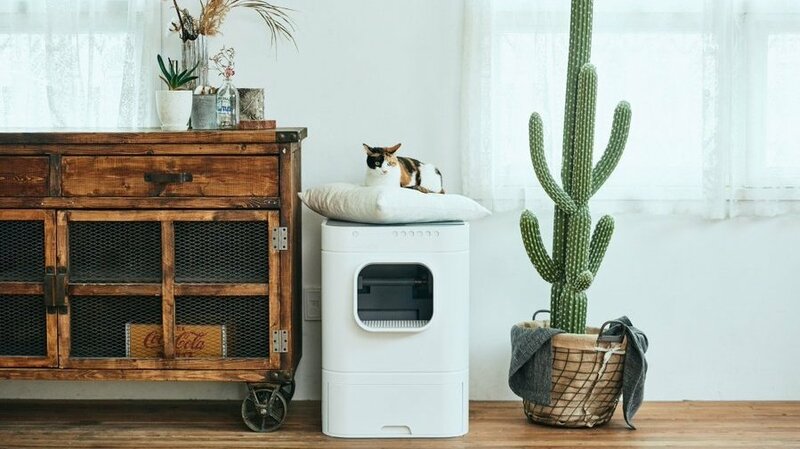 CES this year saw the unveiling of the LavvieBot Purrsong, an automatic self-cleaning cat-litter box that also monitors your cat’s toilet activity. And also Inubox – a self-cleaning dog toilet for those who don’t have an outside area that a dog can use. 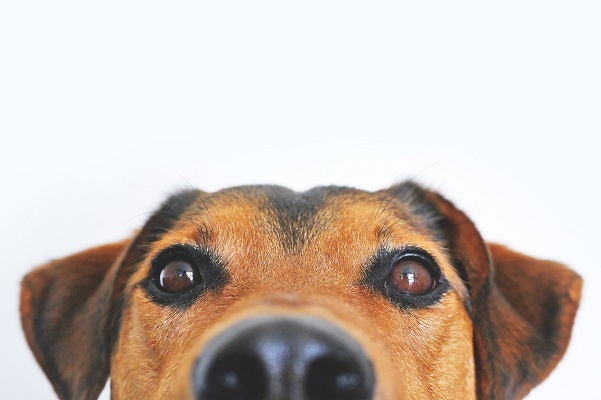 With today’s tech you can be closer to your pet than ever while hardly needing to be there at all. Time was that living in an apartment without a garden, or working full time in an office every day, used to be solid reasons for not getting a pet in the first place. 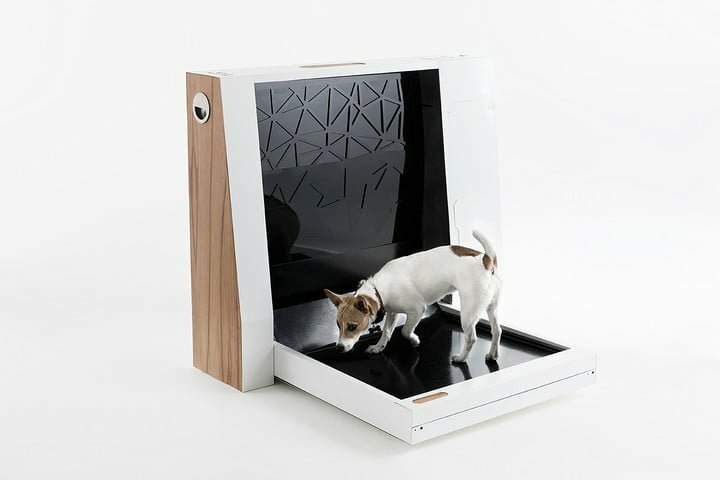 But, thanks to new technology, now your home can be adapted to cater for your pet’s needs while you’re at work, and there are devices that allow you to chat to your dog via your smartphone, and even give it a treat in your absence. According to Mintel, our love of our animals in the UK is expected to see the value of the pet care products and services market reach £2.1 billion by 2023 – a 25% increase from an estimated £1.7 billion in 2018. A quarter (24%) of the UK’s pet owners say that it’s important to keep up-to-date with the latest styles of pet accessories. More than half (56%) of pet owners say that pets appreciate being given new accessories, rising to 62% of owners aged 16-44. Some 51% of 16-34s agree that it is important to buy gifts for their pets to celebrate occasions such as birthdays or Christmas. As many as three in ten (30%) 16-24s bought a Christmas stocking for their pets in the last 12 months. In the home, demand for stylish pet beds and houses is growing, as people want their pet accessories to fit with their décor, resulting in a third (35%) of pet owners splashing out on beds, baskets and bedding within the past 12 months. Half (51%) of pet owners are interested in wearable activity monitors and 27% believe that fitness monitors would improve their pet’s activity levels. A third (33%) of pet owners are interested in an interactive games console for pets. 21% of pet owners either have used or would be interested in trying restaurants with special pet menus. So what is it that’s driving the Pet Pound trend? With the new tech anyone can own a pet, creating a high demand for products that minimise the burden of pet ownership. Social and demographic trends also play a key role in the development of this mega-trend. According to the Office for National Statistics, the number of one-person households in England is set to increase by 26% by 2041*. Single occupancy brings with it loneliness for some – a problem that pet ownership helps to solve. Mintel’s research shows that millennials (aged 23-37) in particular are devoted to their pets, and as couples increasingly delay having children, owning a pet offers an emotional focus without too much responsibility. And how is this affecting our homes? Kitchens designed with integrated sleeping areas for cats and dogs, with built-in storage space for pet paraphernalia, and with integrated waste management systems to prevent raids on the rubbish bin are all rising in popularity. We also found that when planning a new kitchen, 12% of homeowners will take their dog into consideration. And if Pinterest is anything to go by, utility rooms with a designated showering area for mucky pets are making their way onto the consumer wish list, proving influence of social media on Pet Pound trend. The USA has historically been the model which has led the trends in the UK pet care market and whilst the more conservative UK market may currently be outraged at the extent to which the US humanises their pets, it is a strong indication where the future lies for pets in the UK and the UK consumer will continue to spend more and more money on their pets.